This week went by so fast again. Today I am sharing a quick tutorial with you. 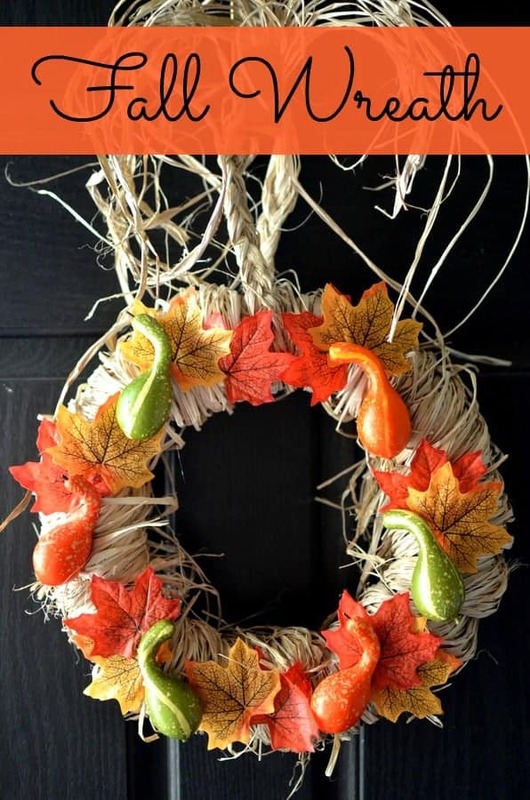 Yesterday I made a quick 10 minutes, under $10 fall wreath to decorate my front door. 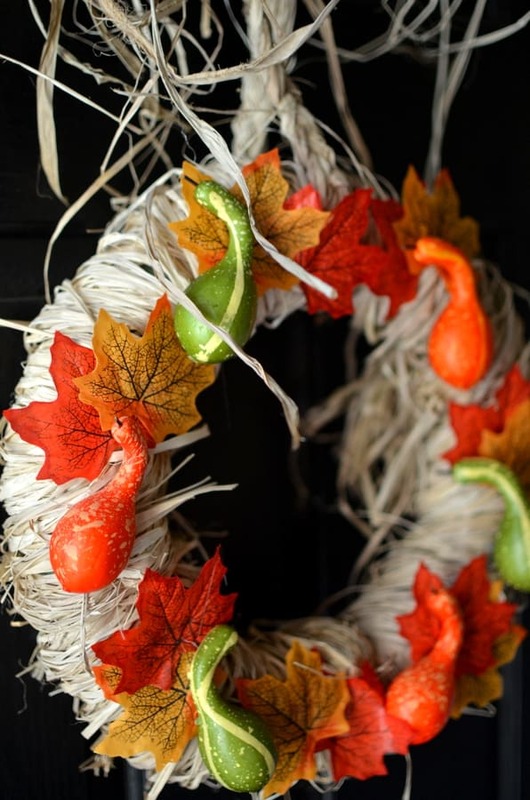 I had a quick trip to the dollar store where I picked up a few things for this nice and easy fall wreath. 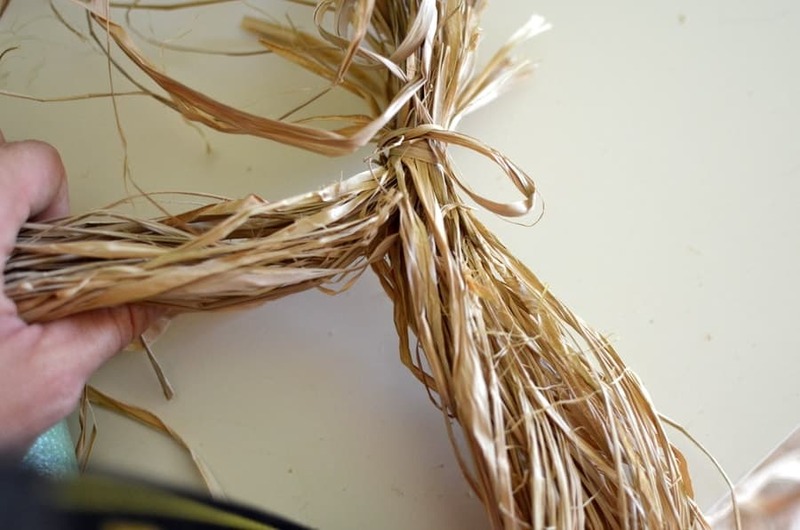 I bought decorating raffia to cover the wreath base. I used about 3 package to cover the full wreath. 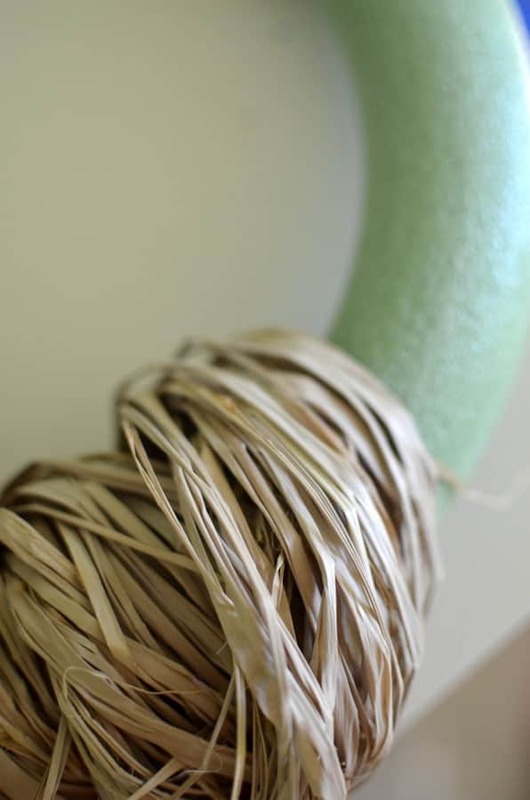 I attached the raffia together, so I got a long enough raffia to cover the whole wreath . 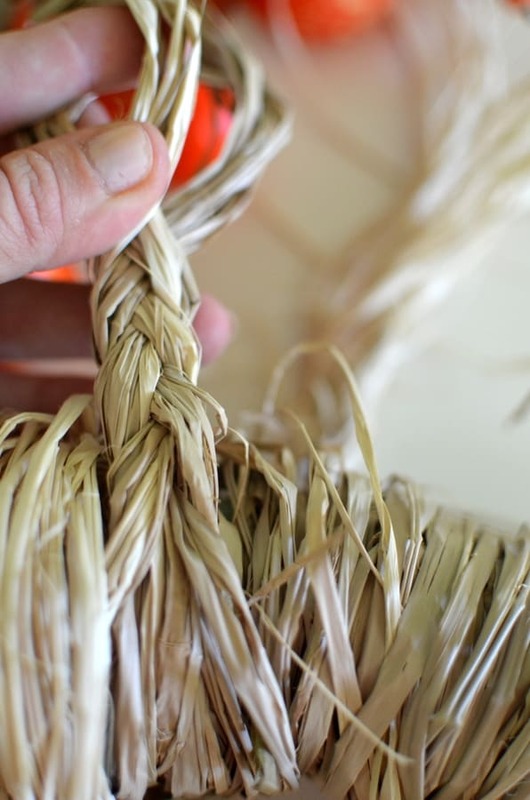 Where the raffia ends came together,I braided the raffia to have a hook to hang the wreath. 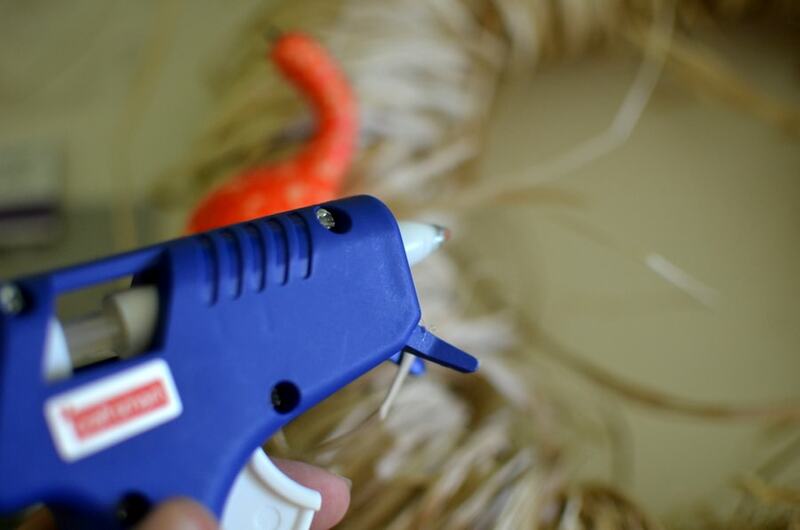 With hot glue gun, I attached the some colorful little pumpkins and orange leaves to the wreath. 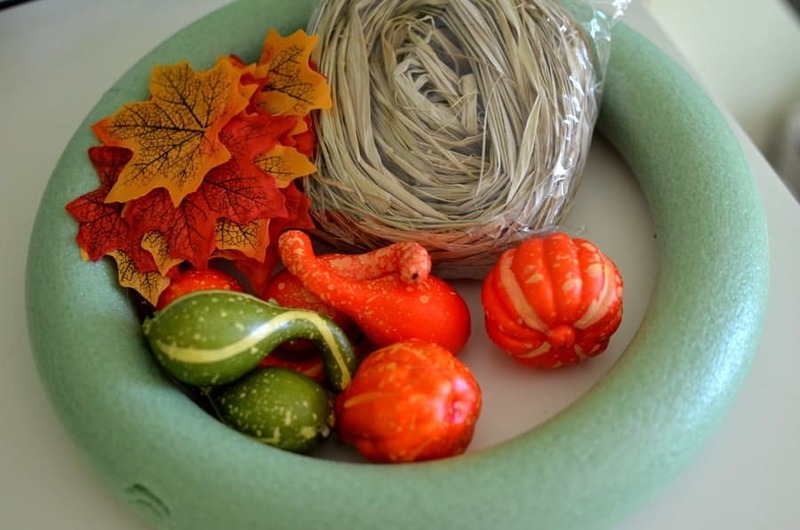 There are too many cute little things that you can find at dollar store to decorate for fall. Pick out what you like the most to decorate. Here is my pretty and colorful wreath for my front door. I LOVE fall colors so much and I am looking forward to share some more fall decorating ideas with you. Super cute wreath Aniko! I love the raffi wrap!! 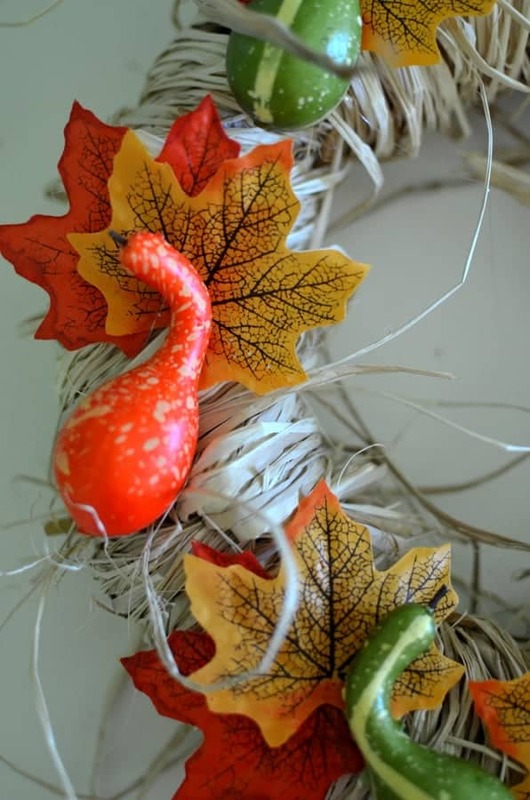 And I have those same gourds and leaves for my fall decor. Their bright colour looks fab against the natural raffi colour. I would love you to come share this on Sunday when we post the Fall DIY Challenge – wreath theme – goes live 4pm PST at the happy housie. Thanks, Krista! i love dollar tree finds! I will sure come and link up! 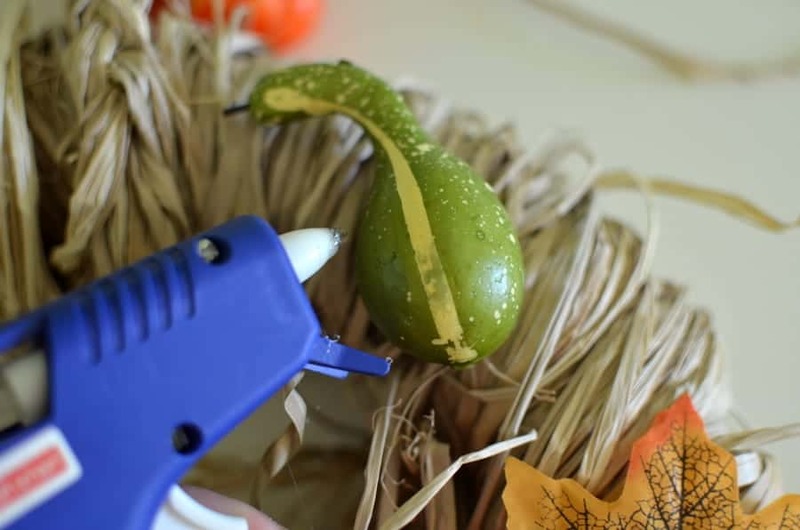 I love fall crafts and colors! I am glad you got some inspiration here! Thanks, Emily for the feature! I will surely share it! 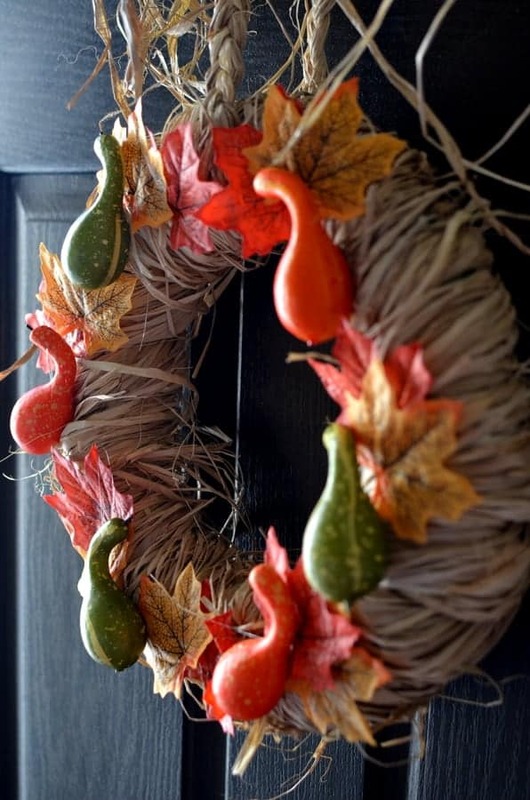 Ooh what a perfect fall wreath! If this doesn't get ya ready for autumn, I don't know what does. LOVE! 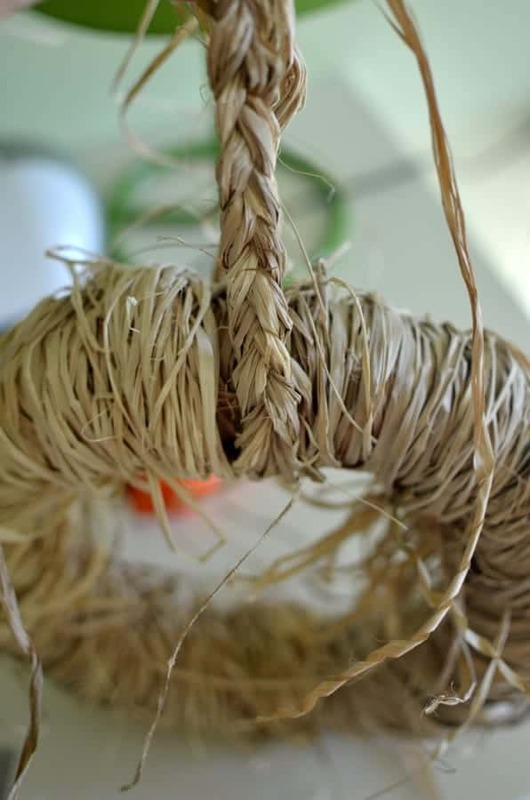 Thank you so much for sharing this at Get Your DIY On! I hope to see you back on Sunday to link up your thrifted upcycle! Hope you're having a wonderful week!